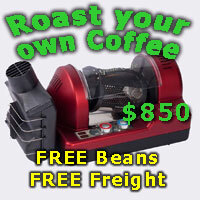 Leaf Bean Machine is proud to be a Coffee Snobs Site Sponsor! Leaf Bean Machine is open from 9am until 5 pm Monday to Friday. Visit us at Unit 1/12 Horus Bend, Bibra Lake WA 6163. Crema_Lad, greenman and JWILL like this.